Today's Republicans - The Party of "Hell No!" "Parties come to embody causes. For the past 90 years or so, the Republican Party has, at its best, come to embody the cause of personal freedom and economic dynamism. For a similar period, the Democratic Party has, at its best, come to embody the cause of fairness and family security. Over the past century, they have built a welfare system, brick by brick, to guard against the injuries of fate. ... And there was also the faith in the grand liberal project. Democrats protected the unemployed starting with the New Deal, then the old, then the poor. Now, thanks to health care reform, millions of working families will go to bed at night knowing that they are not an illness away from financial ruin. ... This country is in the position of a free-spending family careening toward bankruptcy that at the last moment announced that it was giving a gigantic new gift to charity. You admire the act of generosity, but you wish they had sold a few of the Mercedes to pay for it." "Mr. Brooks, I have always admired your column as being the one person to tell it like it is, party and politics aside. Unlike you, I grew up in a household with admiration for conservatives and hoped one day I could vote for Republicans like my father. Even after suffering the death of my brother in Iraq, I still held true to Republican ideals. But slowly and surely my wall crumbled and gave way to realization that the Republicans had blinded us like they have so many times before, and watching the blatant fear-mongering they have displayed during the health care debate has only driven that point home further. You reference the health care bill along with the federal debt, but no one questioned how we would pay for the Iraq War, yet we went along with it - and the Iraq War was about taking lives; this is about saving lives. You state that you "admire the act of generosity, but you wish they had sold a few of the Mercedes to pay for it." Yet the Republicans succeeded, for the first time in history, on cutting taxes during a time of war - a war that needs to be paid for! You also state that the "task ahead is to save this country from stagnation and fiscal ruin." But what of the millions of Americans who every year face stagnation and fiscal ruin over health bills that they cannot pay? I have been witness to a friend who could not afford to pay her hospital bill after a freak brain aneurysm. The hospital began to garnish her wages, leaving her unable to pay for her children's needs. Is she to be left out in the cold because of a freak accident? It is high time this bill was passed. We treat health insurance as if it is a privilege, but then members of the religious right state that abortion is an abomination, that all babies have the right to live - then don't all humans have the same right to health insurance, to keep their right to live? Health care is not about capitalism - it is about life ... and I would give anything to save one." "A group of lowlifes at a Tea Party rally in Columbus, Ohio, last week taunted and humiliated a man who was sitting on the ground with a sign that said he had Parkinson's disease. The disgusting behavior was captured on a widely circulated videotape. One of the Tea Party protesters leaned over the man and sneered: "If you're looking for a handout, you're in the wrong end of town." Another threw money at the man, first one bill and then another, and said contemptuously, "I'll pay for this guy. Here you go. Start a pot." In Washington on Saturday, opponents of the health care legislation spit on a black congressman and shouted racial slurs at two others, including John Lewis, one of the great heroes of the civil rights movement. Barney Frank, a Massachusetts Democrat who is chairman of the House Financial Services Committee, was taunted because he is gay. At some point, we have to decide as a country that we just can't have this: We can't allow ourselves to remain silent as foaming-at-the-mouth protesters scream the vilest of epithets at members of Congress - epithets that The Times will not allow me to repeat here. It is 2010, which means it is way past time for decent Americans to rise up against this kind of garbage, to fight it aggressively wherever it appears. And it is time for every American of good will to hold the Republican Party accountable for its role in tolerating, shielding and encouraging foul, mean-spirited and bigoted behavior in its ranks and among its strongest supporters. For decades the G.O.P. has been the party of fear, ignorance and divisiveness. All you have to do is look around to see what it has done to the country. The greatest economic inequality since the Gilded Age was followed by a near-total collapse of the overall economy. As a country, we have a monumental mess on our hands and still the Republicans have nothing to offer in the way of a remedy except more tax cuts for the rich. This is the party of trickle down and weapons of mass destruction, the party of birthers and death-panel lunatics. This is the party that genuflects at the altar of right-wing talk radio, with its insane, nauseating, nonstop commitment to hatred and bigotry. ... The G.O.P. poisons the political atmosphere and then has the gall to complain about an absence of bipartisanship. The toxic clouds that are the inevitable result of the fear and the bitter conflicts so relentlessly stoked by the Republican Party - think blacks against whites, gays versus straights, and a whole range of folks against immigrants - tend to obscure the tremendous damage that the party's policies have inflicted on the country. If people are arguing over immigrants or abortion or whether gays should be allowed to marry, they're not calling the G.O.P. to account for (to take just one example) the horribly destructive policy of cutting taxes while the nation was fighting two wars. If you're all fired up about Republican-inspired tales of Democrats planning to send grandma to some death chamber, you'll never get to the G.O.P. 's war against the right of ordinary workers to organize and negotiate in their own best interests - a war that has diminished living standards for working people for decades." Representative Patrick Kennedy (D) on ABC's Good Morning America speaking about the passage of the health care bill. "When I thought of all the years, all the battles, and all the memories of my long public life, I felt confident in these closing days that while I will not be there when it happens, you will be the President who at long last signs into law the health care reform that is the great unfinished business of our society. For me, this cause stretched across decades; it has been disappointed, but never finally defeated. It was the cause of my life. And in the past year, the prospect of victory sustained me-and the work of achieving it summoned my energy and determination. There will be struggles - there always have been - and they are already underway again. But as we moved forward in these months, I learned that you will not yield to calls to retreat - that you will stay with the cause until it is won. I saw your conviction that the time is now and witnessed your unwavering commitment and understanding that health care is a decisive issue for our future prosperity. But you have also reminded all of us that it concerns more than material things; that what we face is above all a moral issue; that at stake are not just the details of policy, but fundamental principles of social justice and the character of our country. And so because of your vision and resolve, I came to believe that soon, very soon, affordable health coverage will be available to all, in an America where the state of a family's health will never again depend on the amount of a family's wealth. And while I will not see the victory, I was able to look forward and know that we will - yes, we will - fulfill the promise of health care in America as a right and not a privilege." "And it occurred to him that a walk through the countryside was a sort of epitome of the passage through life itself. One never took the time to savor the details; one said: another day, but always with the hidden knowledge that each day was unique and final, that there never would be a return, another time." "Death is always on the way, but the fact that you don't know when it will arrive seems to take away from the finiteness of life. 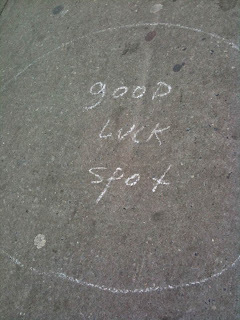 It's that terrible precision that we hate so much. But because we don't know, we get to think of life as an inexhaustible well. Yet everything happens only a certain number of times, and a very small number, really. How many more times will you remember a certain afternoon of your childhood; some afternoon that's so deeply a part of your being that you can't even conceive of your life without it? Perhaps four or five times more. Perhaps not even that. How many more times will you watch the full moon rise? Perhaps twenty. 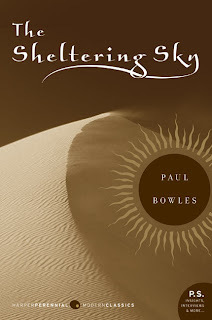 And yet it all seems limitless." Health care reform. The time is now. ... the question was asked, "If you could choose a moment in history that you would like to live in, what would it be?" 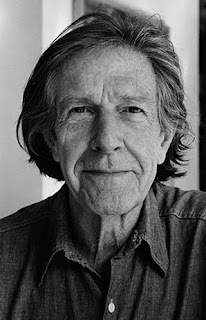 John Cage: "I'd like the next five minutes." A few nights ago, we strolled down to Banh mi Zon on East 6th Street to get our fix of their delicious Vietnamese sandwiches and killer Lotus Stem Salad. During our simple meal, the proprietor Tai Dang was kind enough to bring over a card from his friends (the filmmakers Ritu Sarin and Tenzing Sonam) seated at the next table for their new film The Sun Behind The Clouds: Tibet's Struggle for Freedom. 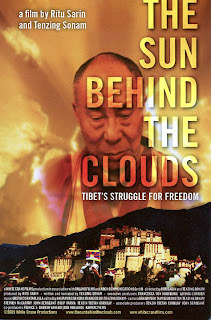 The informative documentary "updates the struggle for Tibetan independence, focusing upon the March 2008 demonstration against Chinese rule, the largest ever since the 1959 take-over of that nation. The Dalai Lama is interviewed extensively; he explicates his "middle way," a compromise position the Chinese haven't accepted. Supporters of Tibetan independence who are devoted to the Dalai Lama, but believe his compromise ineffective, detail their more militant position." Look for the movie at Film Forum during a two week run from March 31 - April 13, 2010. 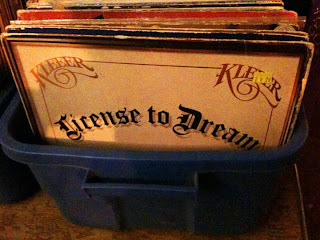 After a brief and friendly chat with the filmmakers, we left the East Village sandwich shop and noticed that just next door ... sitting serendipitously in a bin in front of A-1 Records was Kleeer's old 1981 LP titled License to Dream. "As a Buddhist monk, my concern extends to all members of the human family and, indeed, to all sentient beings who suffer. I believe all suffering is caused by ignorance. People inflict pain on others in the selfish pursuit of their happiness or satisfaction. Yet true happiness comes from a sense of inner peace and contentment, which in turn must be achieved through the cultivation of altruism, of love and compassion and elimination of ignorance, selfishness and greed." Who Profits From Promoting Racism? It's simple really. When someone is feeding you a whole lot of hate and hogwash, just ask yourself "Who profits from the promotion of racism?" Because money, power, and perceived hierarchies are always what's at stake in the endgame. Our American society creates the "monsters" it wants to see and then acts surprised when "monsters" appear. "From 2004 through 2009, in a policy that has gotten completely out of control, New York City police officers stopped people on the street and checked them out nearly three million times, frisking and otherwise humiliating many of them. Not only are most of the people innocent, but a vast majority are either black or Hispanic. There is no defense for this policy. It's a gruesome, racist practice that should offend all New Yorkers, and it should cease. Police Department statistics show that 2,798,461 stops were made in that six-year period. In 2,467,150 of those instances, the people stopped had done nothing wrong. That's 88.2 percent of all stops over six years. Black people were stopped during that period a staggering 1,444,559 times. Hispanics accounted for 843,817 of the stops and whites 287,218. ... If the police officers were treating white middle-class or wealthy individuals this way, the movers and shakers in this town would be apoplectic. The mayor would be called to account in an atmosphere of thunderous outrage, and the police commissioner would be gone." "Because when you strip away all of the rage, all of the nonsensical loud noises and all of the contradictions, all that's left is race. The tea party is almost entirely about race, and there's no comparative group on the left that's similarly motivated by bigotry, ignorance and racial hatred." I know, I know. It's old school Ice Cube, and Nike Skateboarding, and shoes. But maybe one day, we can all wake up, chill, and have the simple right to a good day.